A miniature, nineteenth century, cast iron, flat iron. This is one of the smallest irons that I have seen and it was made for use. In the casting, on the top of the iron, is a deeply moulded face and the initials 'C N'. This is possibly the manufacturers mark but I am unaware of the company that it relates to. It is French and it dates from c.1870. 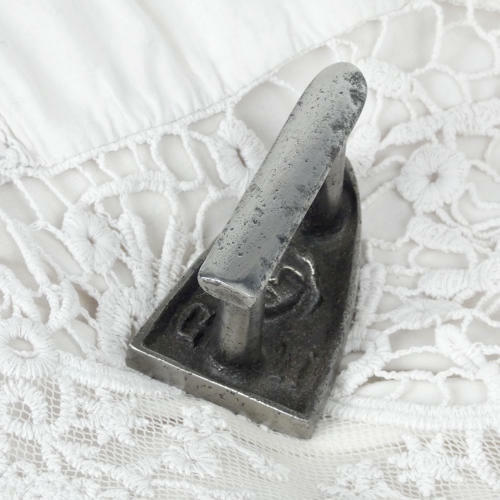 It would have been used for ironing lace and other small, delicate items. It is in very good condition.